Camden County Council On Economic Opportunity's purpose is arranging for and providing assistance that gives immediate relief to income-eligible persons in emergency circumstances. They provide programs and services to help clients achieve self-sufficiency. Depending on the availability of funds, Camden County OEO provides emergency food, rental payment or relocation assistance, referral services and a case manager to talk with to discuss your situation. Homeless Prevention Programs supplement local and state efforts to help individuals and families to remain in their homes or apartments. This comprehensive assistance allows economically disadvantaged persons to catch up on back rent, mortgage and utility bills, thus avoiding evictions. 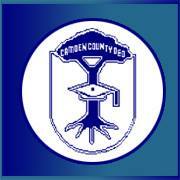 Are you familiar with Camden County Council On Economic Opportunity? Help FreeRehabCenters.org users find out answers.